This is a fantastic real photo postcard with an amazing back story. It's a self-portrait of Davenport, Iowa, professional photographer Ray Bawden, who operated the Commercial Photographic Company. 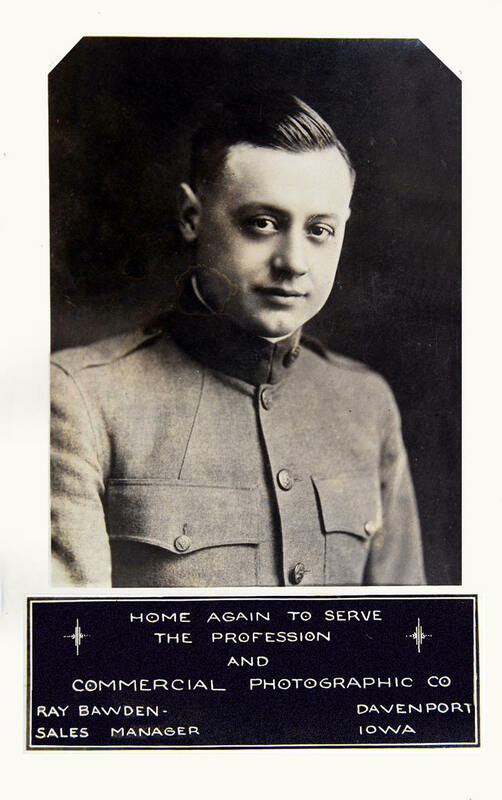 The postcard is announcing his return to business after serving in World War I. What is really interesting about Bawden is that he specialized in photographic postcards of circus, vaudeville, and carnival acts. I have pictured an advertisement Bawden ran in The Billboard of May 18, 1918, in which he solicits "Circus and Carnival People"